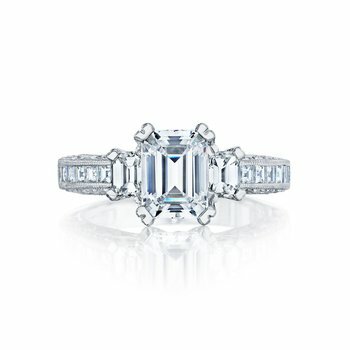 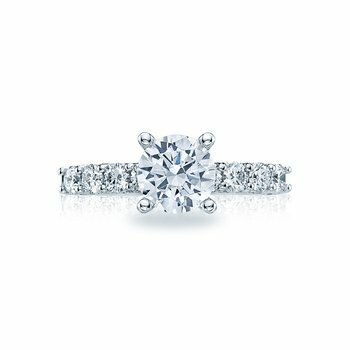 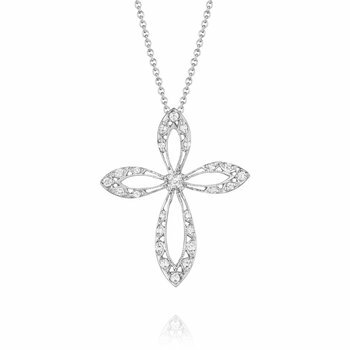 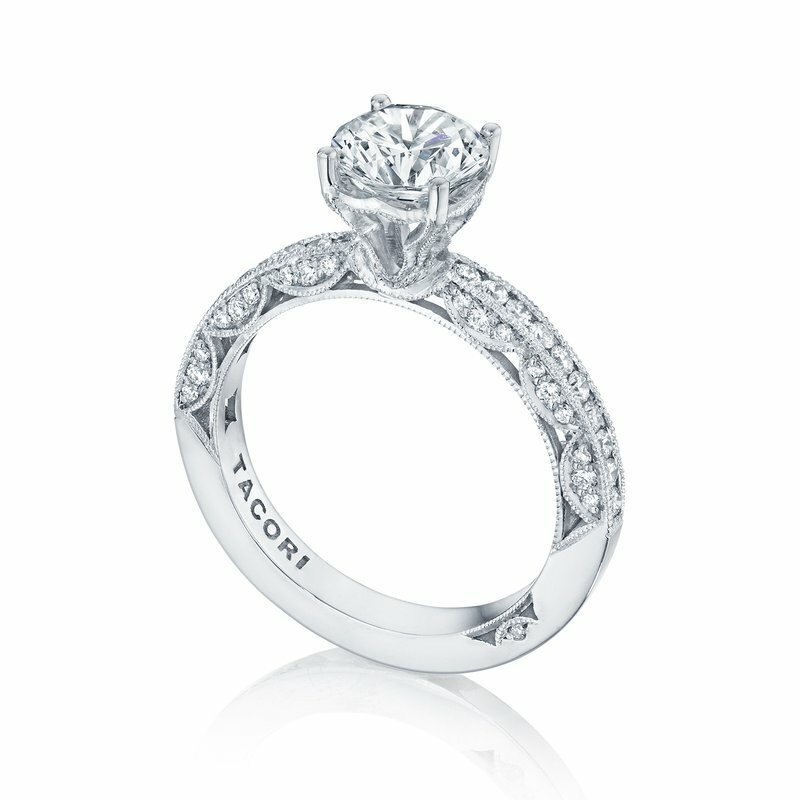 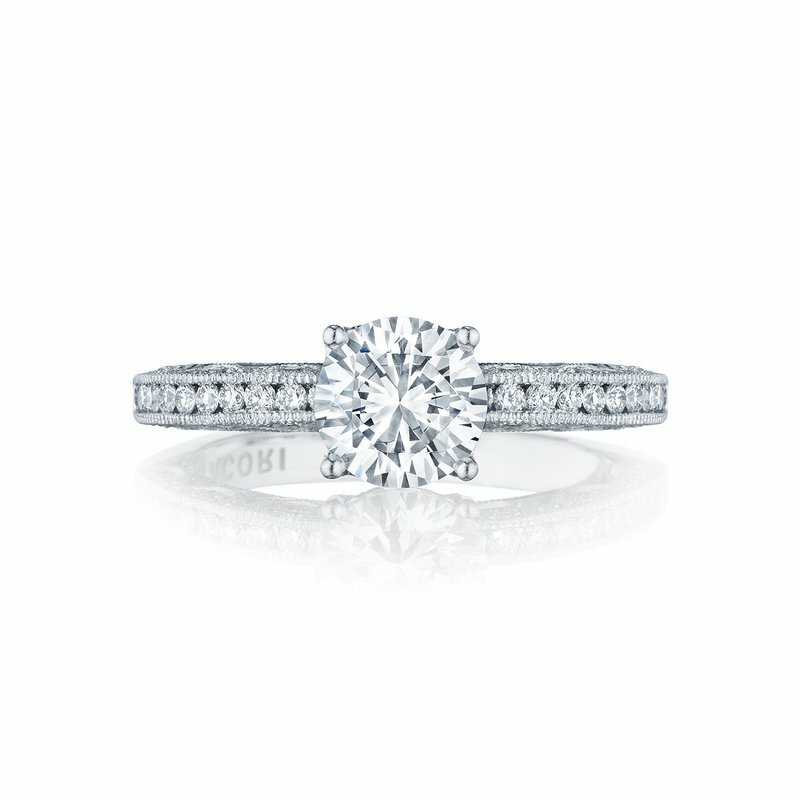 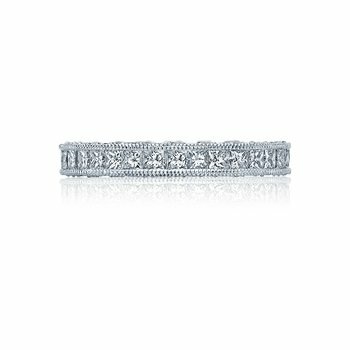 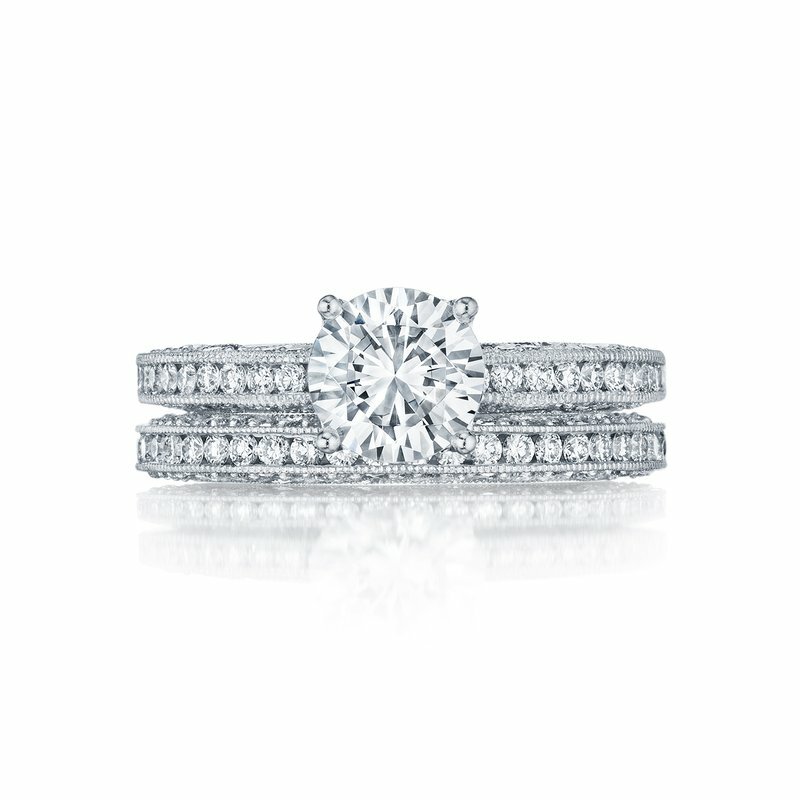 Say hello to this sparkler from our Classic Crescent Collection. 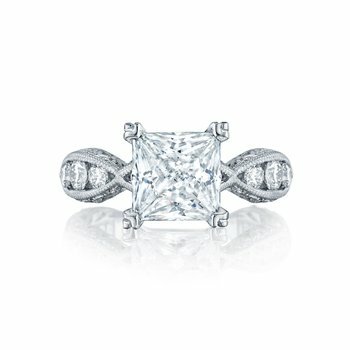 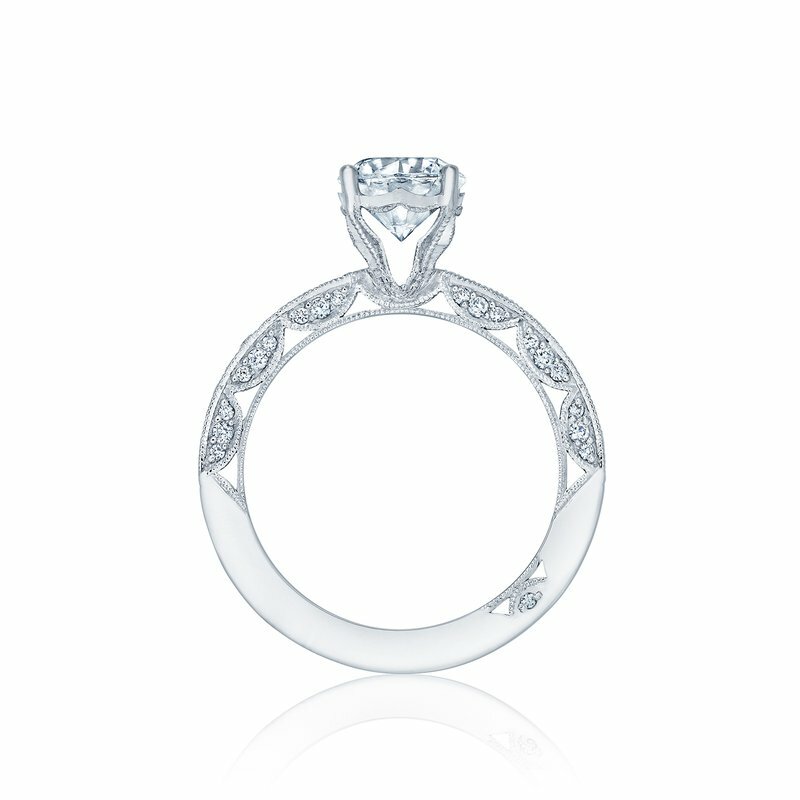 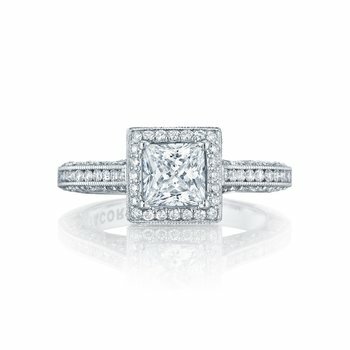 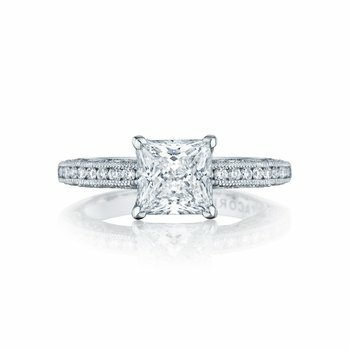 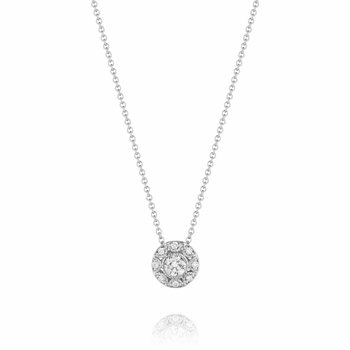 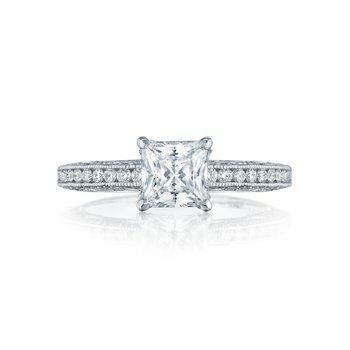 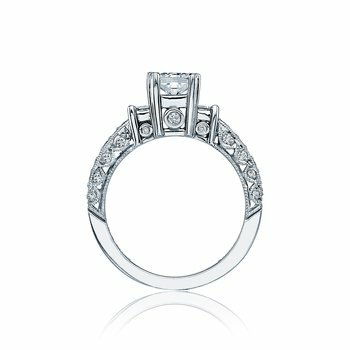 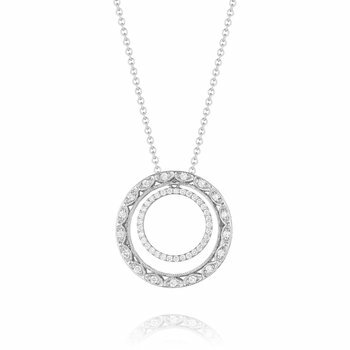 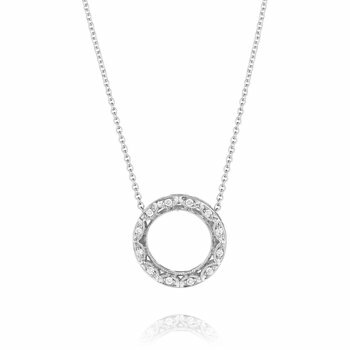 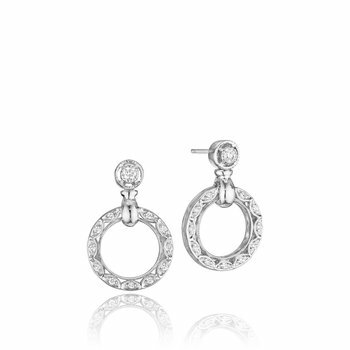 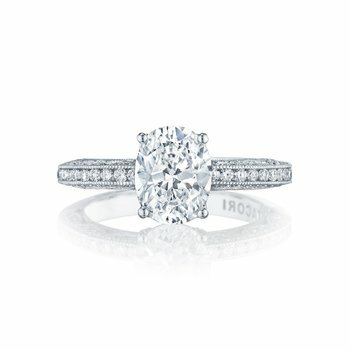 With a completely open gallery, you can now see your round center diamond sparkle from every angle. Three diamonds are set within each crescent of the inner face of your ring to represent your past, present, and future with the love of your life.